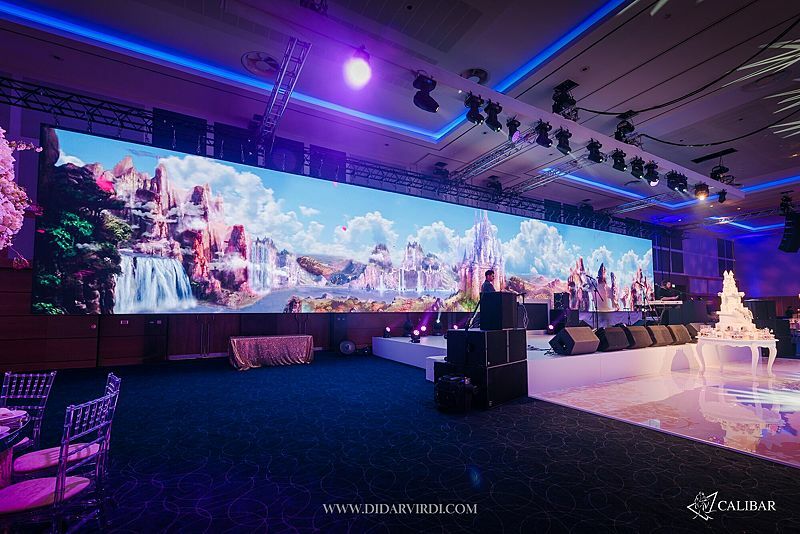 The bespoke panoramic LED wall package provides you a bepoke size led video wall backdrop which can be adjusted to any size you require according to your venue and event design. 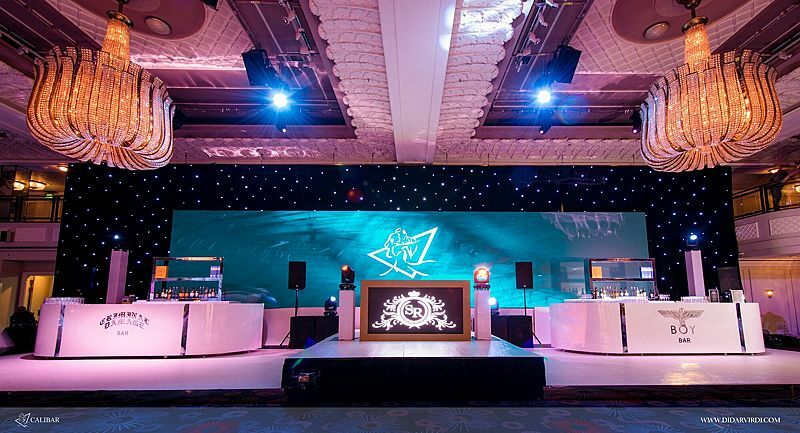 We can also create bespoke screen content to match any theme or event style. The package comes with screens from 6M wide up to 26M as standard and can be made even wider if required. 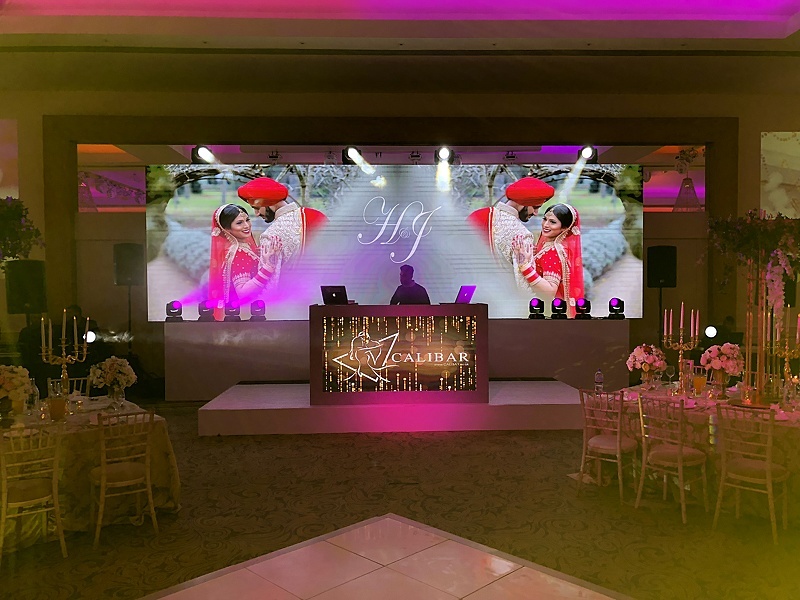 This package comes with a full moving head light show which again can be designed according to the screen size and venue. 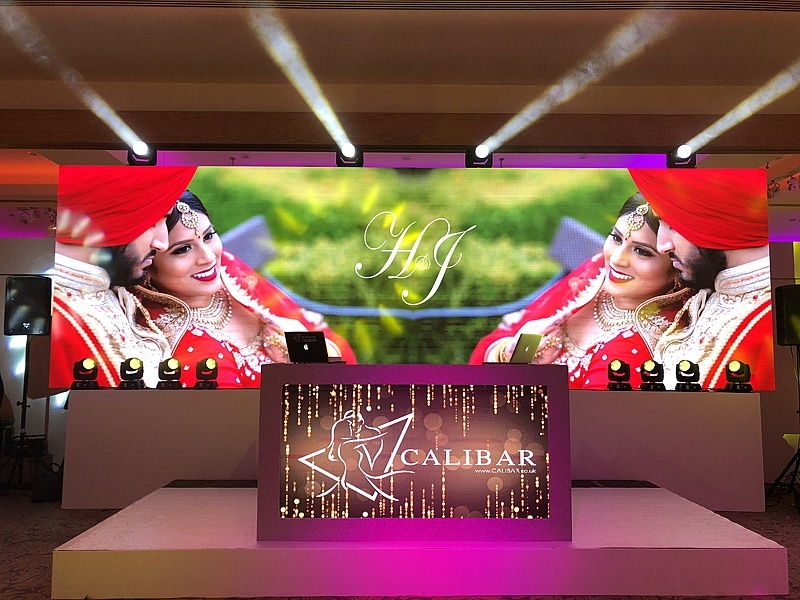 The DJ Booth is also a LED booth with a choice of frame colours with gold and silver being the most popular. Contact us now on 01753 644648 or email enquiries@calibar.co.uk for further information on this great innovative package.